The Index continues growing up. 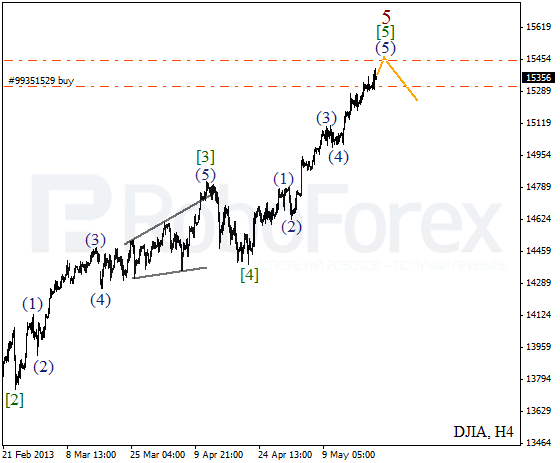 The current chart structure implies that the price finished forming several final bullish wave and, thus, completed the fifth wave. Most likely, the market will start a correction quite soon. 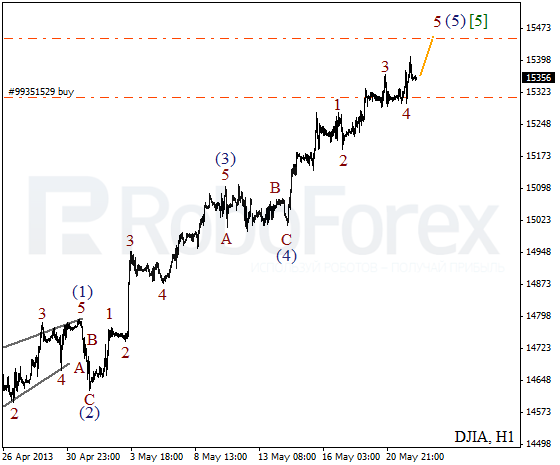 As we can see at the H1 chart, yesterday the price completed wave 4 and wave 5 of (5) as well. However, taking into consideration the length of the previous waves of this impulse, the Index is expected to form several more bullish waves. In case of Oil, I think this correction is taking too much time. 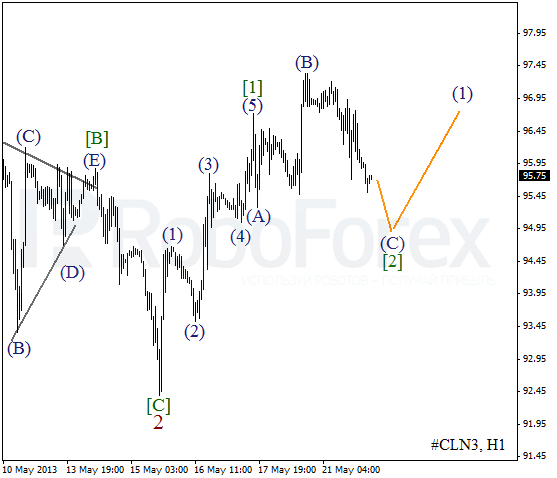 Yesterday the price completed zigzag pattern inside wave 2. On the minor wave level, in the nearest future the instrument will probably start growing up inside the third wave and break the maximum. More detailed wave structure is shown on the H1 chart. We may assume that the instrument is forming flat pattern inside wave  (with wave (C) inside the pattern). 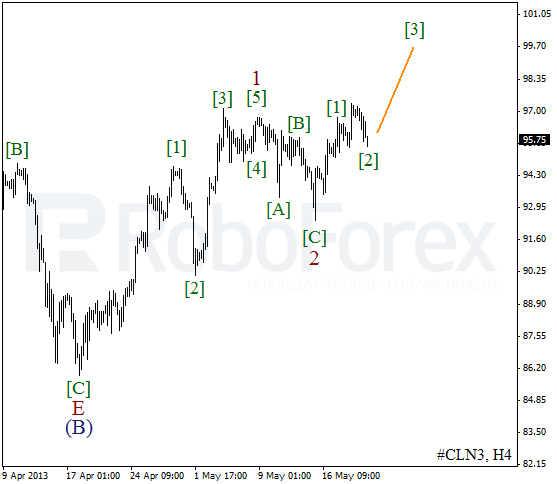 Later the price is expected to move upwards while forming the third wave.